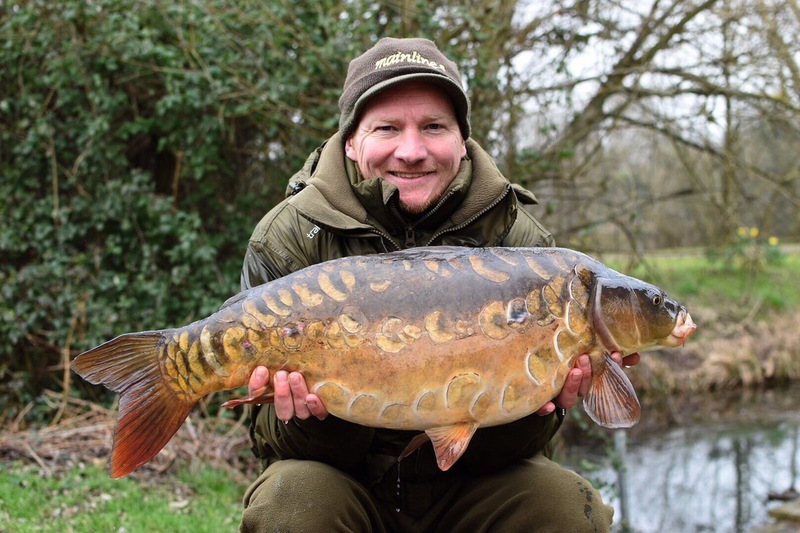 England carper, Wayne Mansford explains how a recent Farlows Lake session was best described as an ‘up n’ down’ affair? One question I get asked a lot or rather comes up in conversation is what lake am I fishing? The anglers I’m chatting with often expecting me to reply with the name of a syndicate or two, which has never been the case. As my fishing is predominately based around the carp match events throughout the year. So, I spend most sessions either practicing at venues or fishing in competitive matches – meaning most trips to the bank are at day-ticket fisheries. Fortunately, many of these venues hold big carp these days, fish over thirty-pounds that when I was a kid (cleaning maggots in the Farlows tackle shop for my pocket money) were the fish of dreams, large carp that are now common place. What’s more these day-ticket lakes are generally very well stocked, which really does teach you somethings that stand you in good stead regardless of venue: how to get a bite, and then how to get lots of bites. Methods, tactics and skills that obviously transfer to the carp match scene, but which were also very evident in a recent trip to one of my local haunts, Farlows Lake, near Iver. It’s a venue that taught me so much in my early carping days, so I generally make a few trips there per year. If only to have a social and a catch-up with a few mates, although this time around it was more of a therapy trip. Some close family members had not been too well and to add to that worry my business as a roofer fell foul to some low life tool thieves. Life is full of ups ‘n downs though, and good news was beginning to shift the gloom, so a fishing trip to relax a little, and recharge the batteries not too far from home was a welcome thought. Confidence in the new Supa Sweet Ziggers was sky high when this 34lb mirror came to the net! The next best thought was that the Farlows carp had begun to wake-up, becoming active and a few fish were coming out. The first true signs of spring had finally arrived. Now although it is a great time to get the rods out to try and take advantage of this activity it’s still a tricky situation. It’s easy to get carried away with the feel-good factor of the first few fish coming out, a little sunshine etc. and you need to remember the water is still cold, and not too much has changed, well not massively anyway. 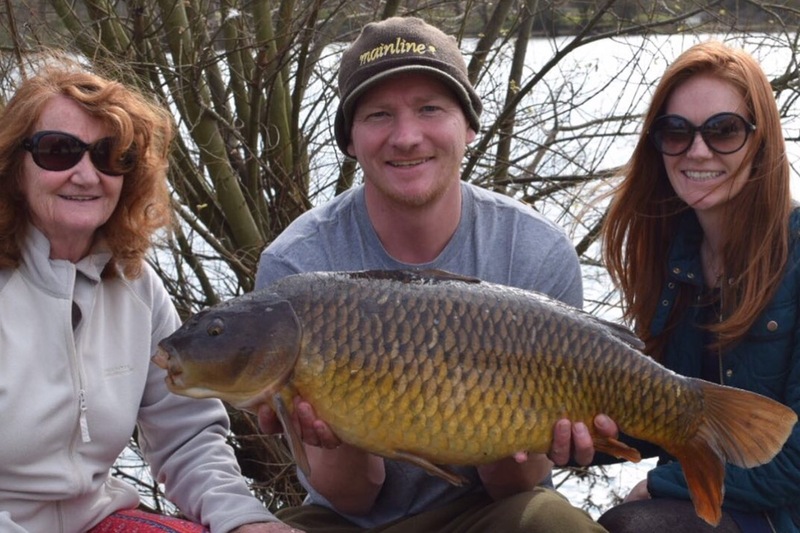 Yes, the days are beginning to stretch and the fish know it’s time to become more adventurous, but for the most part the activity of the carp is just that – an instinct to become increasingly inquisitive of their surroundings. 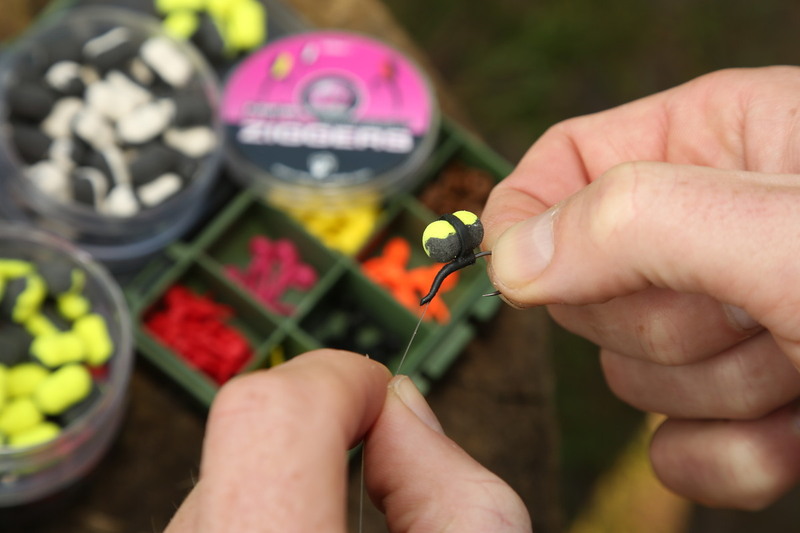 It’s all too easy to misinterpret this initial spur of life as the carp getting on the feed and start pilling in the bait, and consequently ruin your chances of catching. 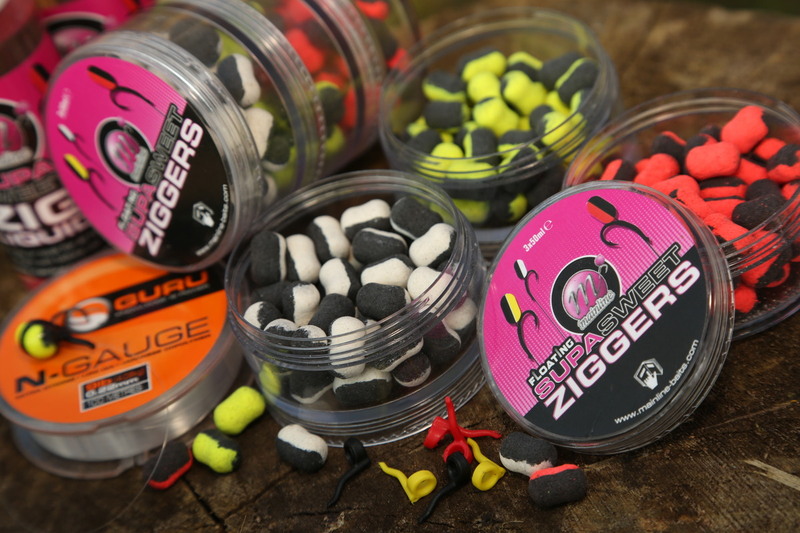 Small handfuls of bait in a PVA bag or high attract hookbaits are for me the best way to start your session. Nick a bite or two first and then perhaps offer some free feed once you’ve had time to gauge how hungry and willing to feed the carp actually are. Squad Ginger’ Mum, Sis, me and one of life’s tonics – a carp! It was especially important to bear this in mind as I started my session because the conditions looked pretty good. There was a strong wind putting a good ripple on the water surface that wasn’t too cold and as I set-up on the point I saw a few fish show in an area I call the ‘golden triangle’. Basically, a mid-lake section situated between the point where I stood, the ‘smelly bank’ and Scots Island. It’s a proven area as well as one of the deepest on the lake so not entirely surprising to see a few there, but a welcome confidence boost all the same. Although I still had no way of knowing if the fish were up high in water or down on the deck, just an educated guess that the fish being in the upper layers at this time of year was most likely. With that in mind I positioned two rods on Zigs with one kept on the bottom – edging my bets without over committing, which proved to be a good tactic with my 7ft Zigs seeing three fish hit the bank the first day. 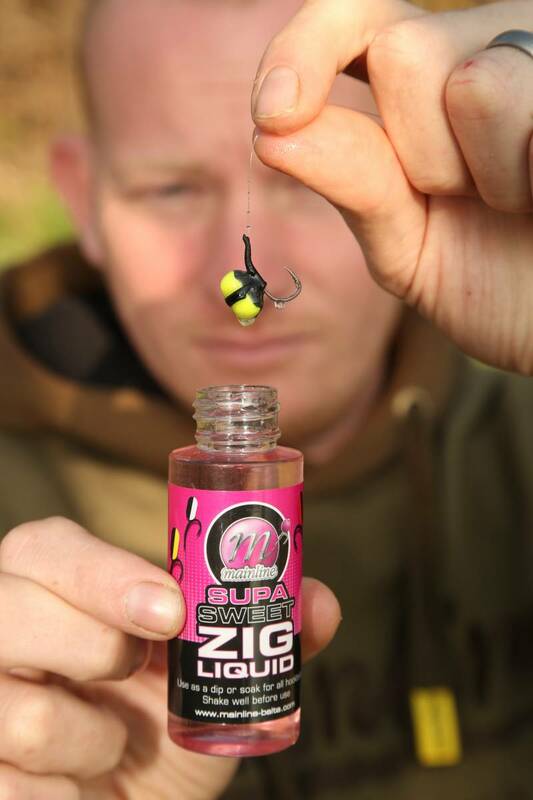 What’s more I’d got my hands on the new Supa Sweet Ziggers from Mainline, mini barrel-like hookbaits that I’m sure will help my catch-rate on the match scene this year, so it was great to install some confidence in these beauties straight away. 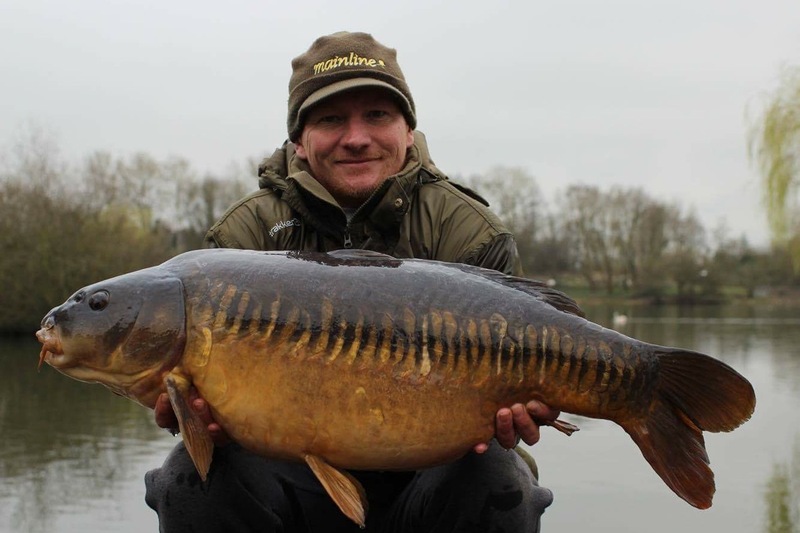 Confidence taken sky high when a stunning 34lb mirror came to the net on a Zigger the second day. The swim was well and truly flying with every bite providing just the tonic I was after. My mum and sister even got see a couple landed when paying me a visit, which again added to pleasure these Farlows carp were providing. After a second night, I packed-up and left the lake a much happier bloke than when I’d arrived having landed eight fish in total; six on the Zigs, including a cracking thirty and two fish on the Essential Cell pop-up rod – down on the bottom just in case. Mission accomplished!